New Character Posters For “Brave” Debut. | The Cineaste's Lament. ← New “Snow White & The Huntsman” Clip Is Seriously Dark. Looks like Katniss Everdeen won’t be the only bow-wielding heroine in the multiplex this summer. 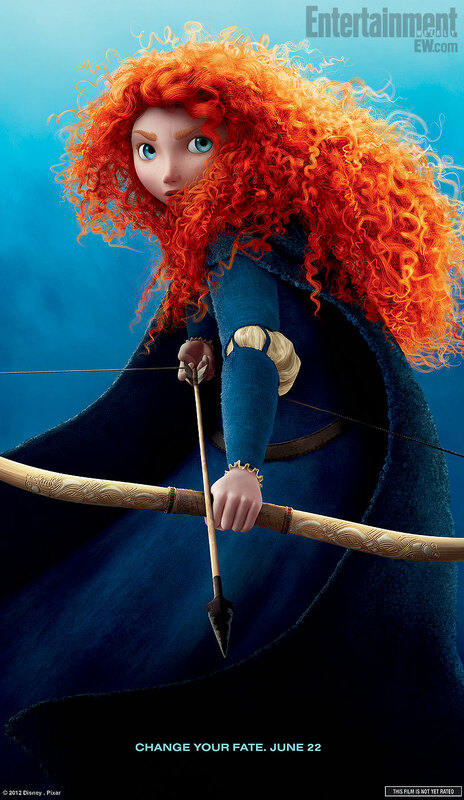 A new character poster for Disney/Pixar’s Celtic-themed fantasy “Brave” also feature a heroine with a knack for archery. This entry was posted in Animation, Family Films, Fantasy, Film News and tagged Brave, Brave character posters, Disney/Pixar, Katniss Everdeen, The Hunger Games. Bookmark the permalink.